Home to the iconic Smithsonian Castle, the South Mall Campus is the symbolic heart of the Smithsonian Institution. The landscape of the Smithsonian has been many things during its over 150 year history: a picturesque park, a utilitarian yard, and a storage and exhibition space for growing collections. Now, as a garden with a national reputation for its energetic horticultural displays, it rivals the museum collections as an educational and cultural showpiece. 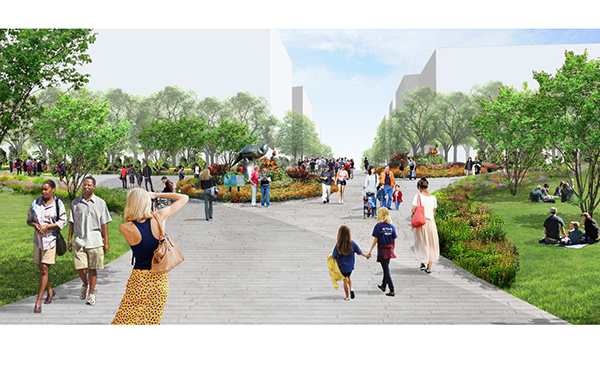 Surfacedesign worked to re-imagine the landscape of the South Mall as a cohesive campus that integrates the gardens with the visionary architectural design of Bjarke Ingels Group (BIG). 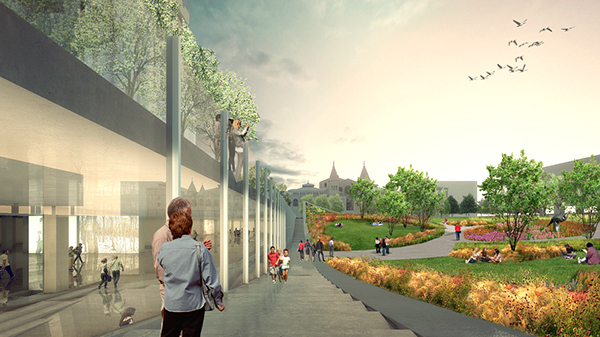 The masterplan works to create a beautiful, unique and exciting national landmark that respects the history of the institution while demonstrating that the Smithsonian is not a warehouse for historic relics—rather it is an ever-evolving institution, and the landscape should reflect this vision. Horticulturally-rich plantings frame new views and create multiple- scaled spaces for individuals, groups and large events. Increased security needs are integrated with place-making so the infrastructure that protects the campus also provides seating, enhances the sustainability of the site, and furthers the educational and programmatic mission of the Smithsonian. 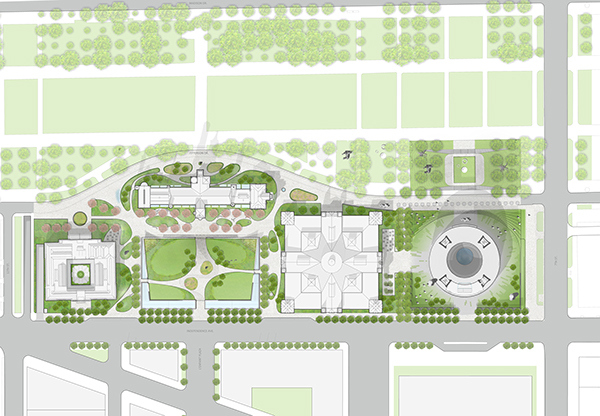 Ultimately, the Masterplan is a framework for a campus that will continue to evolve as the needs of the Smithsonian evolve, creating a landscape of connectivity and possibility.